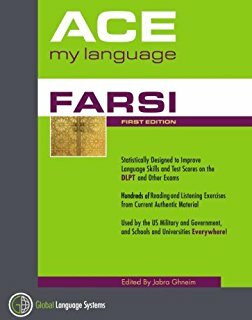 Ideal for students who already have a foundation in Farsi, Ace My Language Farsi is designed for those who want to dramatically improve their acquisition and retention, as well as their performance on standardized tests, including the DLPT. The exercises (3-5 per article), from current authentic sources, are statistically engineered to achieve amazing results by maximizing exposure to the language most frequently encountered in real-world contexts. The book also contains a 4000 words English-Farsi and Farsi-English glossaries of high high frequency lexical items in the language.